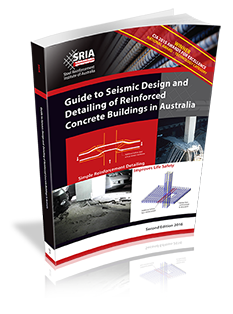 Reinforced concrete is recommended by leading architects, engineers and builders in Australia as the preferred building material. This is especially true in an economic climate where its cost efficiency and speed of construction make the choice of reinforced concrete attractive. But simple economics and rapid construction techniques are not the only reasons for this, as the material is now exploited by designers in new and exciting ways. Aesthetically, the standard and quality of finishes possible in concrete today would have been unthinkable at the beginning of this century. Construction systems using steel-reinforced concrete technology have become accepted practice in all areas of the building industry. There is a classic lecture (Why Concrete? PDF 584 KB) by Professor H J Cowan, AO Professor Emeritus of Architectural Science, University of Sydney, although originally published in 1970, most of its statements are still true today. provide visual impact Evidence of this activity can be found in both high rise (see Why Concrete Framing? PDF 148 KB) and low rise commercial and residential buildings, and in the increasingly popular tilt-up and precast concrete sectors. Steel reinforcement bar and fabric is produced and distributed throughout Australia via an efficient network of specialist reinforcement suppliers, to meet the needs of the construction industry. Compliance with the relevant Australian standards at all stages of the manufacture and fabrication process ensures that the requirements of the building/construction industry are either fully met or surpassed. Benefits of using steel-reinforced concrete include speed of construction, substantial economy, excellent fire resistance, minimum maintenance and flexibility in design. These advantages have been traditionally recognised by a building industry which is highly skilled in, and well equipped to handle, steel-reinforced concrete construction. The capital cities of Australia bear testimony to the innovative use of reinforced concrete, with buildings such as Adelaide's Australis Centre, Melbourne's Rialto Towers, Perth's QV1 Complex (PDF 608 KB) and Sydney's Governor Phillip Tower becoming national and international landmarks. The use of steel-reinforced concrete pavements and freeways provides a long-lasting, low-maintenance, smooth-riding finish which is competitive on a whole-of-life cost with alternative pavement types. Member companies of the Steel Reinforcement Institute of Australia have played a vital role in these and many other Australian projects. They are committed to providing their expertise and support to the Australian Building Industry.